It was the summer of 1898 and a boy called Percy Frederick Charles Harrison was born into a sweetly-scented world of lavender in the town of Mitcham, about two miles south of Tooting. He was the son of a firework maker, baptised in the Church of St Peter and St Paul on 12th June 1898. 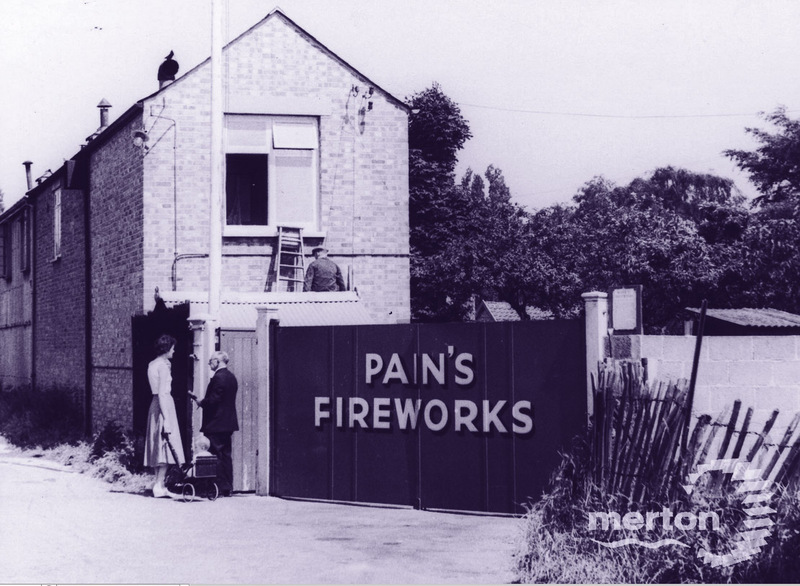 Its hard to imagine it these days, passing through Mitcham on the way to Brighton or Gatwick – a bit of a mess of badly planned ringroads and never-ending roadworks. Cheap ill-considered eighties retail builds, jostling uneasily with crumbling sixties concrete developments, now stand on what must have once resembled a scene from Haute Provence. Picture Figges Marsh, once a sea of mauve, swaying delicately in the breeze, the epicentre of the production of something which was acclaimed as the finest in the world. Mitcham has been known for lavender from the 1500s, with its glory days during the 19th century. Popularised by Queen Victoria, the lavender fields around Mitcham, Wallington, Carshalton and Sutton became internationally renowned and supplied the world. It wasn’t just the heady aroma that appealed to the ladies but the healing properites of the oil had also become highly sought after. 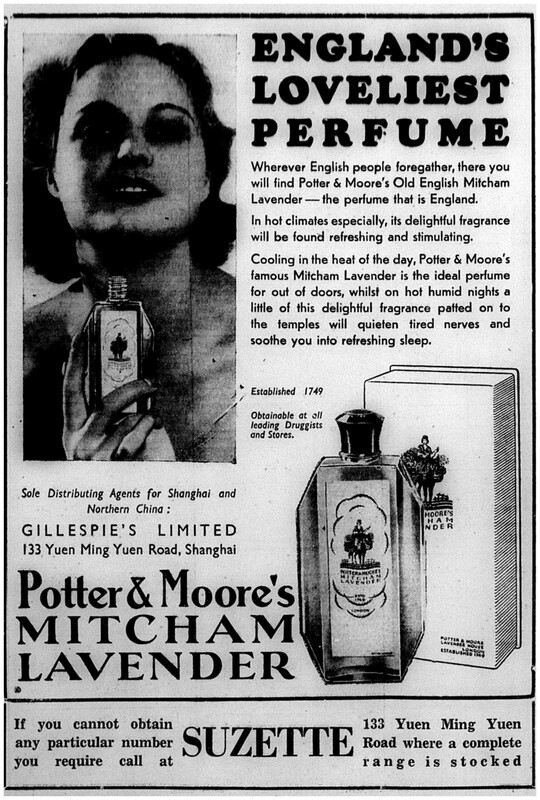 In The Art of Perfumery, published in 1857, the author claims that the best oil is obtained from the lavender grown at Mitcham, in Surrey. 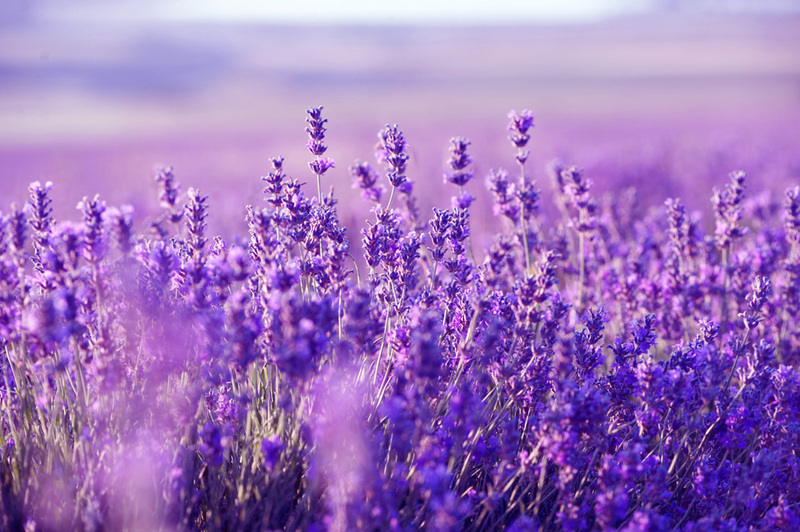 ‘All the inferior descriptions of oil of lavender are used for perfuming soaps and greases’. The likes of Mrs Creeke at the Anglo American Laundry would have placed bags of lavender among the linen to keep it fresh and it was used to flavour honey and jam. Lavender oil was even utilised as a dressing during the First World War when the supply of modern disinfectants and antiseptics ran out and it became necessary to revive older methods of treating the injured. 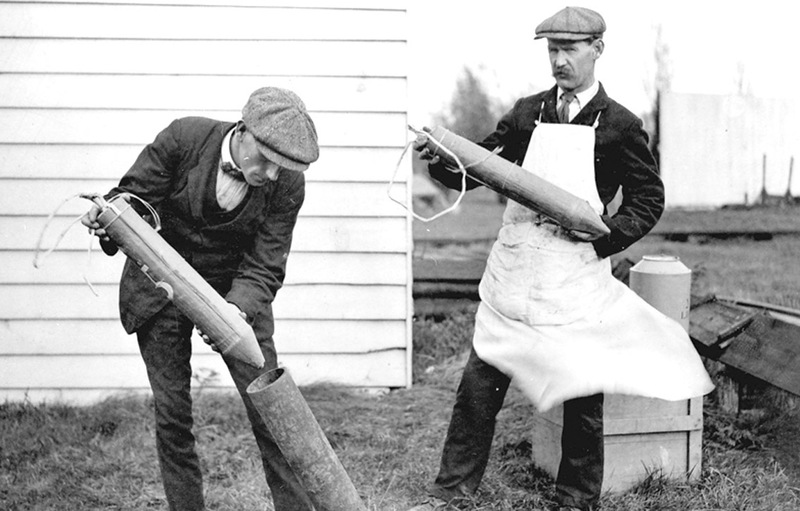 A large temporary workforce was required to cut the flowers when they bloomed ready for distilling. As well as working on the harvest, travelling people, many from Kent and Ireland would buy bunches of lavender to sell on the streets of London advertising their wares. Often with the traditional cry ‘Will you buy my sweet lavender, Sweet blooming lavender, Oh buy my pretty lavender, Sixteen bunches a penny’. The importance of the flower can be seen by the sprigs of lavender which feature on Merton Council’s coat of arms and the badge of the local football team, Tooting & Mitcham United FC. 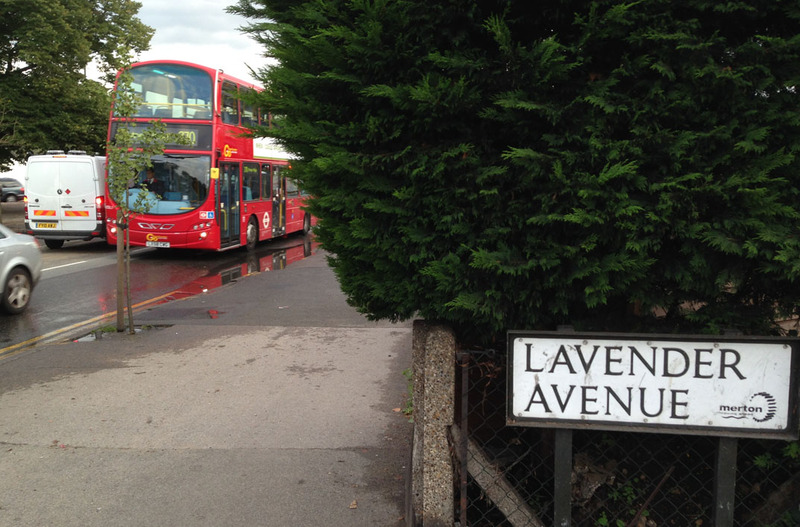 A local council ward is called Lavender Fields and the name is evoked in a number of streets and roads. This and other activities along the River Wandle led in 1803 to the building of the horse-drawn Surrey Iron Railway, the world’s first public railway. The decline of this in the 1840s heralded a change in industry, as horticulture gradually gave way to manufacturing, with paint, varnish, linoleum and firework manufacturers moving into the area. The work provided eventually resulted in a doubling of the population between the years 1900 and 1910. Just like the market gardens and daffodil beds of the Fairlight gave way to bricks and mortar, so the suburbs sprawled all over Mitcham and its fields of blue. The final nail in the local industry’s coffin was the emergence of cheaper French lavender flooding the market. 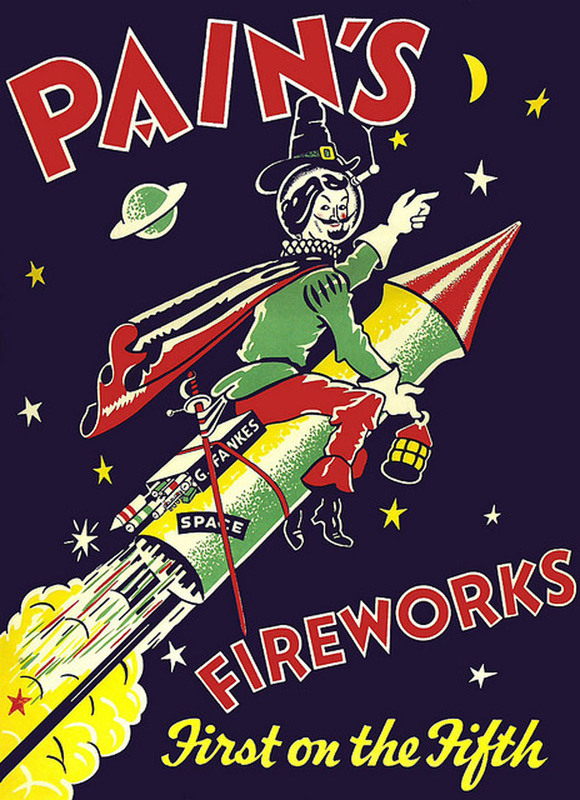 Born in Camberwell, Percy’s father Frederick was a firework maker from at least 1891 when he was 18. By 1901 he was married to Ada with three children and living in Mitcham at Lewis’s Cottages, West Fields. Ten years on they had set up home in three rooms at No9 Smith’s Buildings. 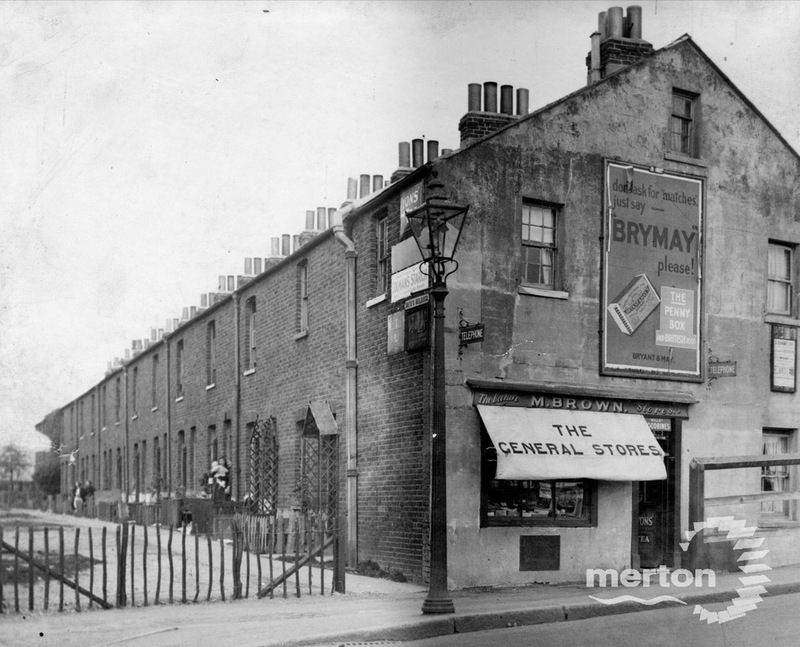 This no longer exists, it was a terrace of 30 houses between Lavender Walk and the Beehive pub, demolished in 1936 following a slum clearance order that allowed for the bridge that went over the railway line to be widened. I’ll think about that the next time I’m on the way to Brighton. Percy now appears as the eldest of five on that census, one of four boys with younger brothers George, Alfred and Herbert, and a baby sister Rosina. 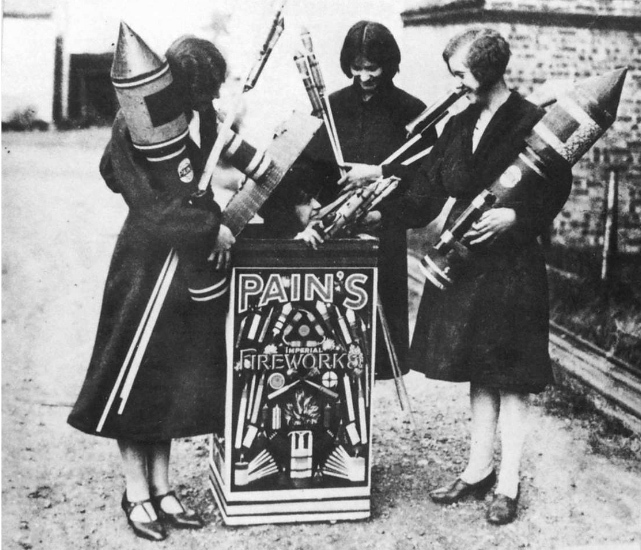 Its most likely that Frederick worked for a major local firework manufacturer called Pains. The origins of this company were in the East End and legend has it that they supplied Guy Fawkes with his barrels on 5th November. They moved to Mitcham in 1872 and were there for almost a century before moving on to Salisbury in 1966. Just a few years before Percy was born there was a serious accident there after a fire occured in the rocket shed and two boys were killed. The only other personal thing we know about Percy was that in March 1917 he married Ellen (Helen) Rudge, the sister of George Rudge in Wandsworth. The Rudges lived at 63 Burtop Road and curiously Ellen’s father was also a fireman. Ellen herself was a fancy-box maker and almost certainly worked at Hugh Stevenson’s Corruganza works. The wedding would have been a chance for the Rudge and Harrison families to forget the war for a while. Six months before, Ellen’s brother ‘First Class Stoker’ George Rudge along with George Cooper from Swaby Road were two of 1026 lives lost on HMS Invincible at the Battle of Jutland. There were only six survivors. A note on Percy’s medal card indicates that he was ‘transfered 17th April 1917’. Possibly this coincided with his wedding and we can only hope that the teenage newlyweds were able to enjoy a period of marital bliss at Burtop Road before returning to the horrors of Arras or Passchendaele. In any case we managed to find a ‘Soldiers Effects’ record which indicates that Percy and Helen had a child, a Frederick C Harrison. 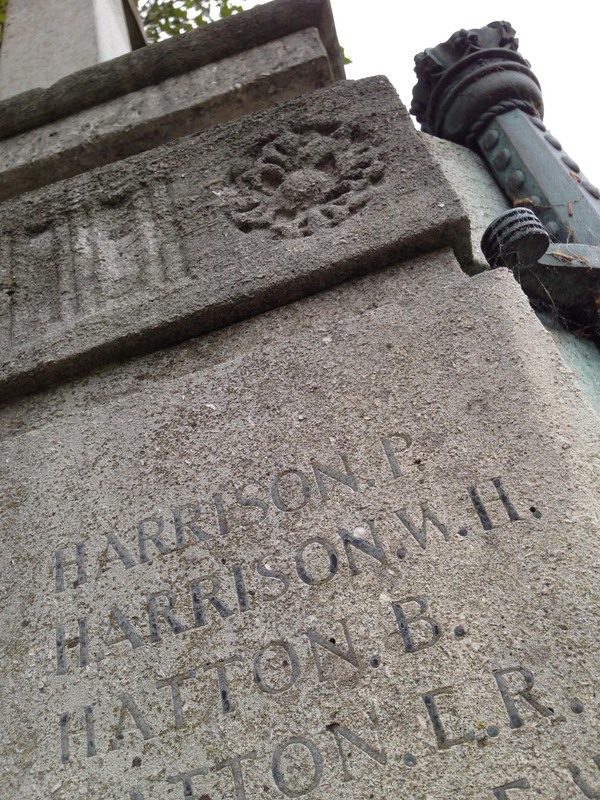 Percy Harrison had only just turned sixteen when he went to war with the 1st Battalion of the East Surrey Regiment on 16th August 1914, just two weeks after its outbreak. His medal card indicates that he was awarded a 1914 star, which suggests that he would have been trained well before the war when he was fifteen, perhaps even younger. He was thrown into what would be known as the Retreat from Mons. The 1st East Surreys were part of the 5th Division of the British Expeditionary Force, faced with the ominous task of holding back a vastly numerically superior German advance. His first major action was just a week later at the Mons Canal, where his battalion suffered 139 casualties. What a baptism of fire for a lad who had probably not had his first shave. Within a week they were in action again at Le Cateau and being pushed back to the River Marne. 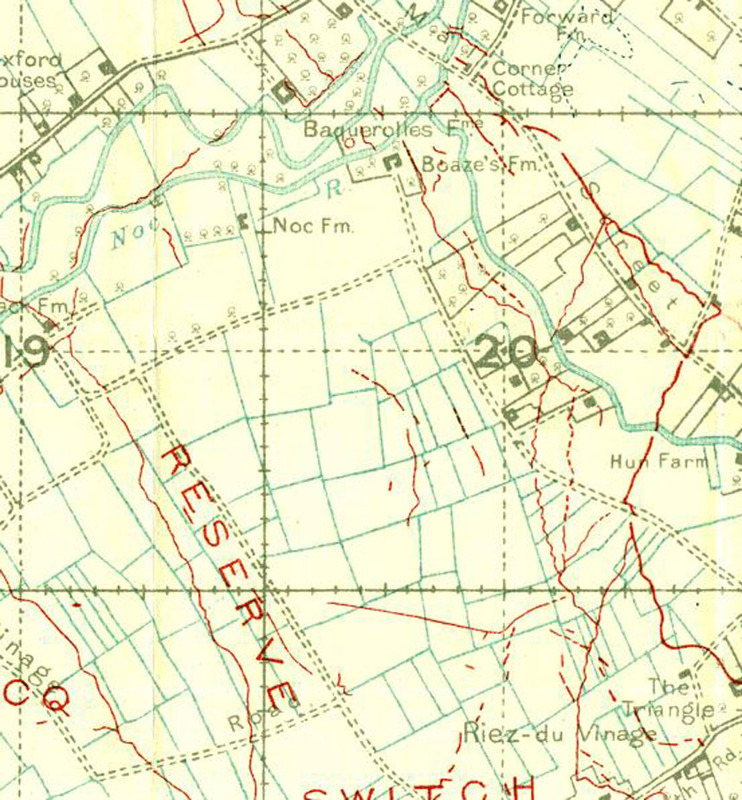 We can’t be sure if Percy was still with the East Surreys in the spring of 1915 when it achieved possibly its finest feat of the war, the Defence of Hill 60 near Ypres. During this action, the Battalion gained three VCs, two Military Crosses (MCs) and seven Distinguished Conduct Medals (DCMs). As the war progressed, Percy worked his way north, joining the Bedfordshire Regiment and then the 2nd Lancashire Fusiliers. Percy was twenty when he was killed on 17th June 1918, twenty summers and just a few days on from that lavender-scented baptism. 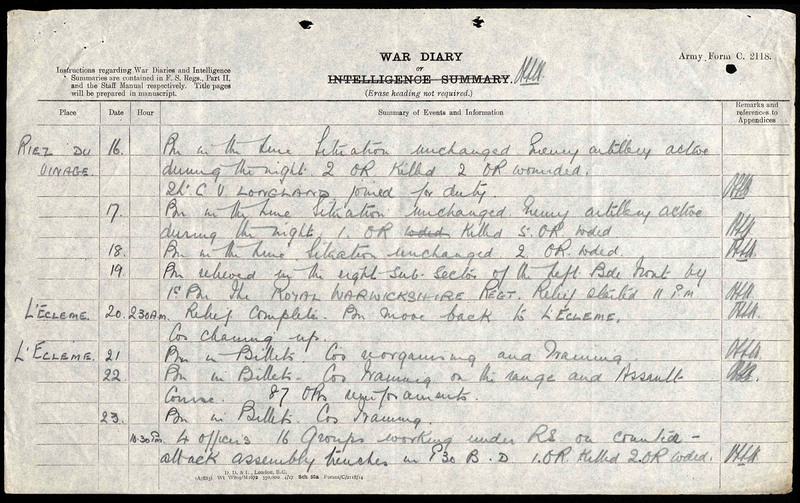 The 2nd Lancashire Fusiliers War Diary recounts how the battalion had moved from the village of L’Ecleme to relieve the Hampshire Regiment in front of the small hamlet of Riez du Vinage on the night of 16/17th April. It was here that Percy met his death recorded in the diary ‘Enemy artillery active during the night, 1 O.R. killed, 5 O.R. wounded’. This was also the place where C.S. Lewis, the same age as Percy and a 2nd Lieutenant in the Somerset Light infantry was wounded just a few months earlier. He went home to write his Chronicles of Narnia, Percy ended up staying in France, swapping purple lavender for scarlet poppies. 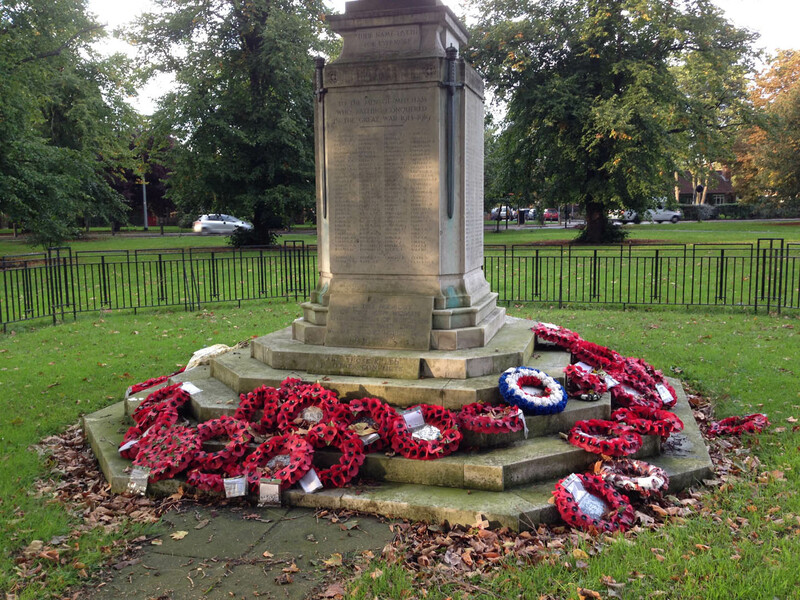 Percy’s name is on our war memorial in Summerstown because of his marriage, but it also lives on in lavenderland as one of 589 names on the main Mitcham War Memorial which stands serenely on leafy Lower Green, behind the old fire station and close to the wonderful Wandle Industrial Museum. 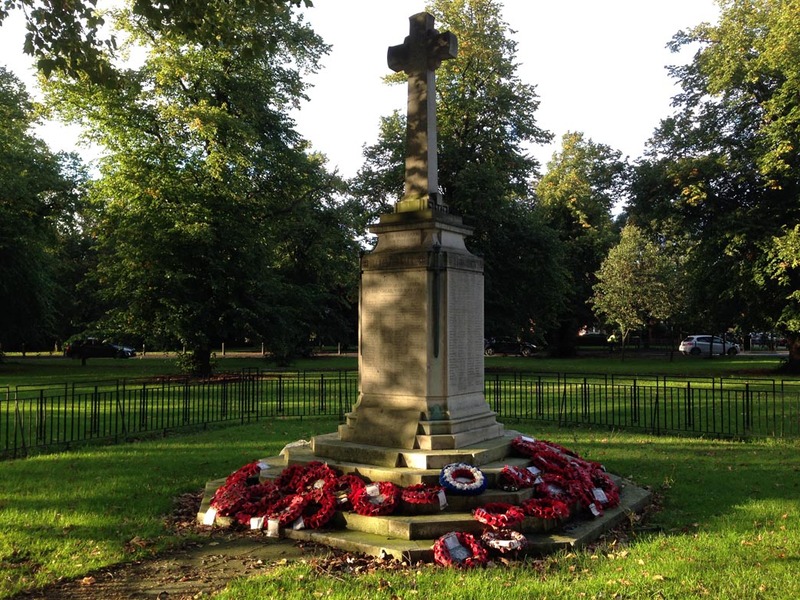 Chris Burge has been researching the identity of these names for over 15 years and three of the names are also on our St Mary’s Church war memorial. Apart from Percy, there is Frederick Sigmur Buckland from Wimbledon Road and Walter Tappin from Fountain Road. Percy’s grave is in the military cemetery at Lapugnoy just outside Bethune, designed by Sir Edwin Lutyens. He would have served with my Grandfather W H Harding DCM MM,1st Battalion East Surrey Rgt,who won his DCM at Hill 60,also born and bred in Mitcham. He had a military funeral in 1954,leaving his house in Peartree Close then the Last Post at Figges Marsh.